A REBELS motorcycle gang prospect in Western Australia who wanted to leave the club was stomped, hit with a wooden pole and had his Harley Davidson bike stolen. WA gang crime squad detectives have charged four Rebels members following the alleged incident in Edgewater on March 31. They also allege the man in his 30s was threatened with further violence if he didn’t hand over several other vehicles, including a Mercedes Benz sedan. 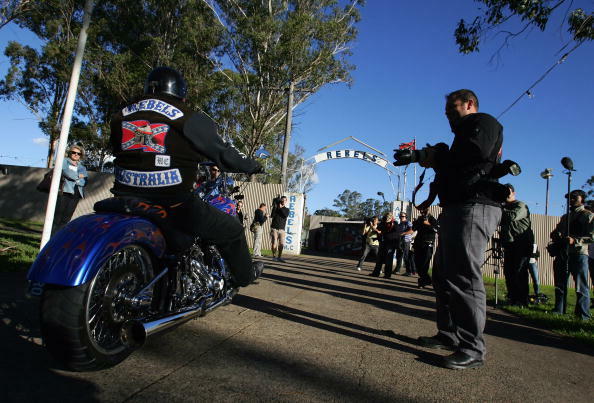 A spokeswoman for WA Police confirmed Gang Crime Squad detectives had charged four men who are members of the Rebels Outlaw Motorcycle Gang. “The victim is a man in his 30s who at the time of the incident was a Rebels OMCG Nominee, who wanted to leave the club,” she added. “The victim attended a home in Edgewater where it is alleged he was met by two patched members of the Rebels OMCG and a Rebels OMCG Nominee. Detectives charged with the bikies with demanding property by oral threats, aggravated armed robbery, acting with intent to harm, property laundering, detaining another with intent to gain a benefit and aggravated burglary with intent. before the Perth Magistrates Court on Saturday.